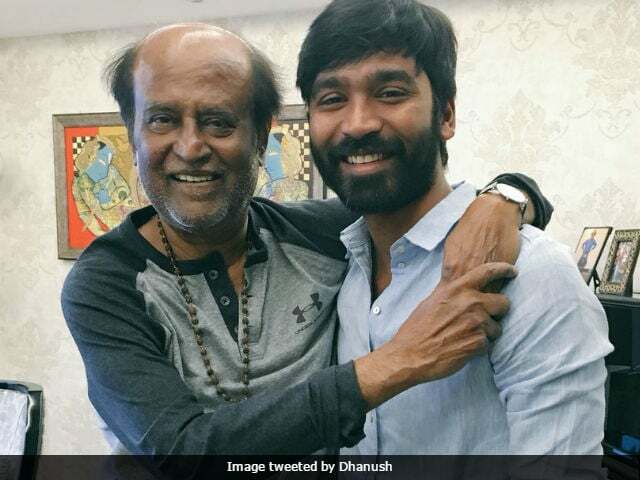 Rajinikanth's son-in-law Dhanush neatly sidestepped a question from the media on the superstar's potential political career on Sunday. At the music release of his new film VIP 2, Dhanush was asked if he thought his illustrious father-in-law should take the political plunge. "Do you have an opinion on why he shouldn't? I have my own opinion and I'll keep mine to myself," the 33-year-old actor told the press, reports news agency IANS. The possibility of Rajinikanth, 66, joining a political party has consumed both the media and his public recently and the actor has admitted to currently being in talks with leaders. So far, Rajinikanth has not confirmed that he will make a political debut, though he continues to hint at it. "I have not denied it. We are discussing and yet to take a decision. Once I take a decision, I will inform you," Rajinikanth told reporters at Chennai airport last week, reported news agency PTI. Last month, he told fans, "If God is willing, I will enter politics tomorrow." "Rajini has every right to come to politics. But he has to be voted by the people," said Tamil Nadu Chief Minister O Panneerselvam, who leads one faction of the AIADMK which split after the death of J Jayalalithaa. The state's BJP leaders have already invited Rajinikanth to join the party. Rajinikanth is currently filming his new project Kaala Karikalan and has 2.0, the sequel to 2010's Enthiran, up for release next year. Dhanush is married to Rajinikanth's daughter Aishwaryaa and VIP 2 is directed by the star's other daughter Soundarya. VIP 2 also stars Kajol and releases on July 28.